A handmade crochet Extra Long infinity scarf cowl in a dusky brown dark taupe color in 2 Sisters Handmade Exclusive Design using a 5 Star Rated soft, wool blend, thick bulky yarn. 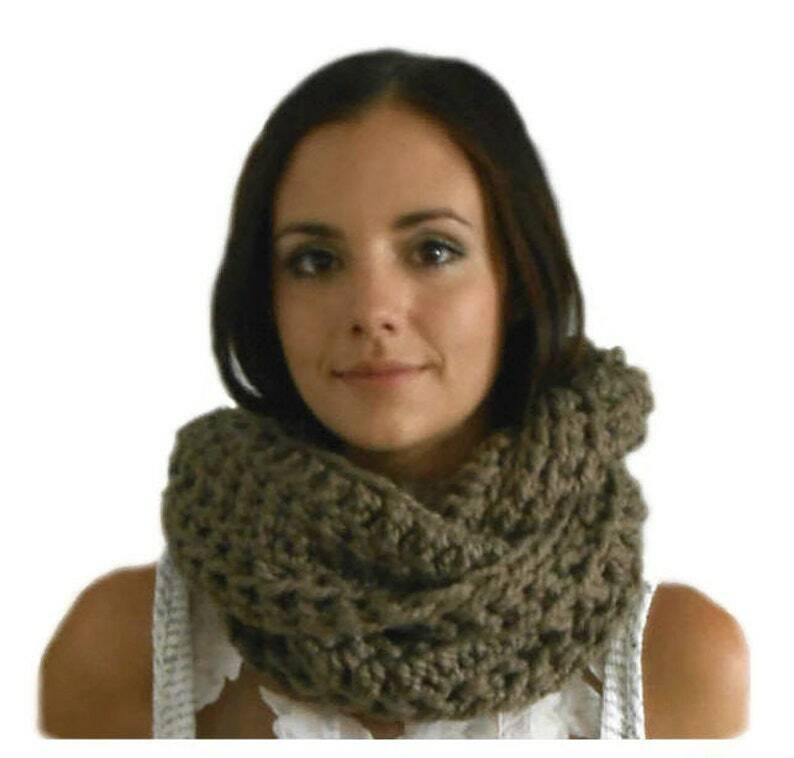 Wear it as a trendy single loop, double it for a chunky infinity scarf or triple loop it (as shown by my lovely daughter Lauren in pic above) for a trendy chunky cowl scarf. CARE: Machine Wash & Dry-- However we suggest you Lay it flat to dry.